Morning Peeps, I'm no scheduled posts for the next couple of weeks as we are off sunning ourselves (at least I hope it's sunny) on another Celebrity ship taking in the waves with a glass or two of all things bubbles.................no I'm not really fussy so long as there are bubbles. I won't be using the on board WiFi, unlimited use was a free perk option, but a drinks package and a hefty on board credit was far more appealing, so will see you all when we return. This weeks Allsorts theme is hosted by Tracy Mouse and it's a real fun one of 'Insects, Bugs, Bees and Butterflies'. And we have a the perfect prize to fit the theme, an A4 stamp sheet full of all the things Tracy had in mind for her theme. I had two cards sitting my my Chocolate Baroque folder which had not been blogged and both fit the theme perfectly. For the one at the top I used a die to cut out the three honeycomb shapes and used foam pads to raise the piece over a piece of yellow DP, but before fixing into place used two CB stamps to add the sentiment into one of the apertures. Stamped, cut out and coloured two bees, fixed in place and used liquid pearls to create the 'trail' of their flight. The background of this one is Distress Oxides, the floral harlequin image stamped to the left of the panel, cleaned the stamp and inked just the harlequin section to add more pattern before adding a Butterfly which is also CB. And I remembered as I was doing some packing that when this post goes live the new Rudolph Days challenge will be in full swing, so above is my share for that, I am going to have to try and add the link from my tablet at a friendly cafe somewhere, now that will be testing for sure as the keyboard and I don't get on, have to use a desktop to do any typing. So as it's a bit of a last minute addition I hope you will forgive the lack of info on my card other than it's a Stamp Addicts sample for Hochanda, Distress Inks, die cut aperture, some twine and a button. 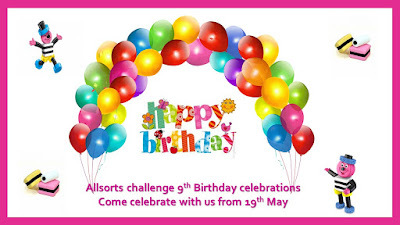 Morning Peeps, this week at Allsorts we are celebrating our 9th Birthday!! There are 9 prizes, one for each year so you absolutely have to join in this week. Our meal at Midsummer House was fabulous and everything it promised to be. We decided on the Tasting Menu which comprised of eight courses but was actually twelve if you add the amuse bouche, palate cleansers which were delicious sorbets and handmade chocolates and sweetmeats to finish. But we resisted the Dom Perignon at £1,700 a bottle...................yes honestly and that was just a standard 70cl size..............do people actually pay that for a bottle of wine do you think ? But earlier in the day turned into a bit of a fiasco, they called last minute to cancel the CT scan and then called back and asked me to go the next day for a DEXA scan which I've been waiting weeks for, but no way can they do the CT one until after our holiday. I despair of the NHS at times, I'm sure they think people get to a certain age and have all the time in the world to drop everything and jump when they want to change things. So onto my card and this is one of two very similar ones I made a few weeks ago using some new Lavinia animal stamps, this one is for one of our son's who has a special Birthday coming up at the end of the month. The shaped card is a really easy one to make using a sheet of A3 card, I made another this shape a couple of weeks ago which I explained here should you want to make one. I used Distress Oxides to colour the stamping pieces, flicked with water to add some interest, sponged a sun, stamped everything with Versafine black and used a piece of torn paper and the same colour inks to ground the animals. I am hoping my son likes this, he's an athlete and along with our DIL travels the world running, as I write this scheduled post he is in La Palma doing the 'Transvulcania Vertical' race, 7.7 kilometers literally as it says, vertically up the cliffs. So I thought the Visible Image sentiment 'Go where your dreams take you' was perfect for him along with the Nature theme as he is also a professional photographer and keen on landscapes, skies and rural scenery. I always find creating cards for him a tad challenging, but am fairly pleased with how this one turned out and as my blog is the very last place he visits I know I am pretty safe blogging it. And a second card which is created with PM stamps, this one uses my current "most favourite" PB stamp 'Spontaneous Joy', I stamped the whole image once using Distress Pens direct to stamp and spritzed with water, cleaned the stamp and then stamped just one of the flowers to extend the panel. Next I masked the edges and applied DI in the same colour, added some stenciled harlequins and finally a sentiment. Lastly and a day late thanks to faffing about with hospital appointments, by Stamping Sensations and Penny Black mid month shares. Using Penny Black 30-419 Happy Wishes and 40-602 also from the new In Bloom collection. Both the above notelet set and card below are some of my unused samples from a Chocolate Baroque programme a few months ago. I really hope you will come and join in the Allsorts fun this week. Good morning all, a scheduled post as today I am at hospital having another CT scan to see how my kidneys are doing and then we are off to Cambridge to Midsummer House to enjoy a Birthday gift from one of our son's and DIL. Hubby and I have Birthdays a day after one other in June and as we are off on holiday at the end of the month it's a rather special joint gift. Midsummer House has two Michelin stars and we are told offers a very special dining experience so really looking forward to it. It's a quick post with the artwork I am sharing over at the Chocolate Baroque blog today. 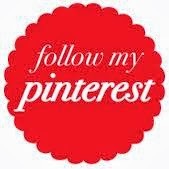 All details of how I made my creations and the stamps used can be found over there. The news about the dreadful break in at their unit has reached many of you and on behalf of them my thanks for the kind messages that you have sent via me, I am passing them all on to Lesley and David. Morning Peeps, this weeks Allsorts theme is hosted by Susan who is 'In the Pink'. Our sponsor is Stamp Addicts who are offering a £15 store voucher for one lucky winner. Been a frustrating week with internet off more than on and not got half of what I wanted done blogwise, the joys of living in the back of beyond is we are last on the list when BT have problems. Sarah and Vicky are on Hochanda at 10am tomorrow with some new stamps which I have used for my cards today. They feature Wildflower Posy, the one at the top also uses 'Thanks a Bunch' and 'Birdeez' and the sentiment on the one further down is from the Fabulous Flamingos set. The card at the top is pretty simple, Pixie Powders for the background, three shrink plastic feathers which are in tomorrows show coloured with Chalemeon Pens, a twin bow and sentiment from the Birdees set. For the above card I stamped the Wildflower Posy three times and coloured with sparkle pens, stamped the sentiment which I have to say I really like with the script font, stamped, coloured and cut out the birdie and fixed him on the sentiment strip. My starting point for this one was to mask across the card and use DI's to create a panel, I then stamped the floral spray, bleached out the colour from the flowers and coloured them in with sparkle pens. Finally a bow and some liquid pearls. As you will see from the above, next week we celebrate our 9th Birthday, there are lots of prizes to be won so I do hope you will join us and also share the photo to help us spread the word. And a few more of my makes for tomorrows Hochanda shows. Distrss inks and Glimer Mists for the background, feather stamped vith Versafine and heat embossed with details white powder. Sentiment, flower from SA's along with their Ayana flower in two sizes. The base is a grayboard tag, covered with gesso and acrylic paint, some stenciling using texture paste coloured with Starlight paint, randomly stamped feathers along with other stamps as detailed above. A tissue and glitter background, the feathers stamped onto acetate and placed over the tissue and sentiment strip. 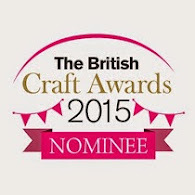 Lots of takes on the pink theme from my team mates so please do pop over and see what they have made. 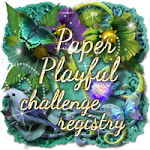 It's time for our new challenges at Stamping Sensations and Penny Black and More where our themes are 'Close to Nature' and 'Anything Goes'. As always there are wonderful prizes to be won at both. Now I do have several shares for Stamping Sensations this month but when I tell you our sponsor is Chocolate Baroque you will understand why. I can't begin to tell you how much I love working with their stamps and count myself so fortunate to be part of their team. My above creation is one I made for a recent Hochanda show which featured so many beautiful floral and Nature inspired stamps, during this month I will be sharing quite a few over at the CB blog and of course here. I managed to squeeze in so many stampes on this one from the following stamp sets: Honey Bee, Fragrant Honeysuckle, Glorious Spring and Artistic Affirmations. I saw this shape of card on Pinterest and rather liked it for something a bit different.......be warned I have made several so there's more to come. No instructions were provided but it's a really simple one to make, I used an A3 sheet of black card, scored it twice to create the three sections and got two base cards of slightly different depths. Cut the end section crosswise corner to corner and the offcut provided me with the pocket in the middle, then I cut the top pieces for stamping slightly smaller so there was a black border. Next Oxide inks, lots of stamping and some stenciling, rather a lot going on but I do rather like the end result and apparently Lesley did as well which was nice to hear. My Penny Black and More share uses the gorgeous Flower Lanterns which I repeat stamped onto Bristol Vellum cardstock inking the stamp with Distress Markers and a spritz of water. I then used TL pin dot rectangle dies to cut the piece into four, stamped the PB image and then layered the pieces to re-assemble the flowers increasing the height by doubling and trebling the foam pads. My next Stamping Sensations share used Chocolate Baroque Poppy stamps. After stamping the Poppies with black versafine I cut out around the top part of the stamp so that I could place a circle die to cut the aperture, ensuring the cut section of the image laid outside the die. The focal sentiment is also CB as are the stencils used to add the leaves and dragonflies for which I used pan pastels. Finally I stamped and cut out another Butterfly and added some liquid pearl drops. My final share is yet another CB make for Hochanda, I built up the scene with several stamps, coloured the sky and water with Pan Pastels and Spectrum pencils. Happy Sunday all and I do hope you will pop over to the challenge blogs to see all the inspiration from my team mates and of course join us this month. Morning Peeps, this weeks Allsorts theme is hosted by Mervi who would like us to use those 'Fancy Folds'. 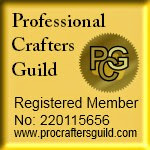 Our sponsor is Digistamp Boutique and we also have a second prize to give away so double the reason to join in. 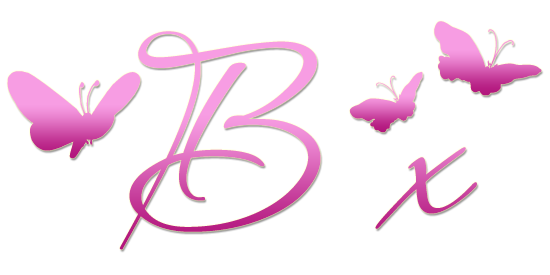 Yesterday was my turn to post over at the Chocolate Baroque blog and you will find my shares further down, details of everything I used and how I created each is all detailed over there. Digistamp Boutique have some lovely new pre-coloured and silhouette stamps and being a real fan of silhouette stamps and Butterflies made two cards, the one at the top uses the Coloured Butterflies and Silhouette Flower sets as well as the sentiment which is from the latter. I had real fun re-sizing the Butterflies so I could cut out a few as well as the largest one to decoupage. The base stepper card has been created with a TL die set as have the printed elements and after cutting out I added some soft stenciling using a harlequin stencil and DI's. It's ages since I made an easel card so went for that as my fancy fold on this one and to create the focal element I used both the shadow and silhouette image (many thanks to Marianne for her help doing that) slightly offsetting them and doing exactly the same to create a stopper/border for the base. Some DP, the origin of which I have no idea but it's a nice textured finish, a few pearl embellishments and I used the offcuts from cutting the edges of the stopper with a TL die to create a border across the focal element. For all of these samples I used the Honey Bee and Fragrant Honeysuckle, Just Butterflies and Words of Inspiration stamp sets. Happy weekend everyone, for a change it sounds like we might have lovely weather for the Bank Holiday so enjoy the promised sunshine.